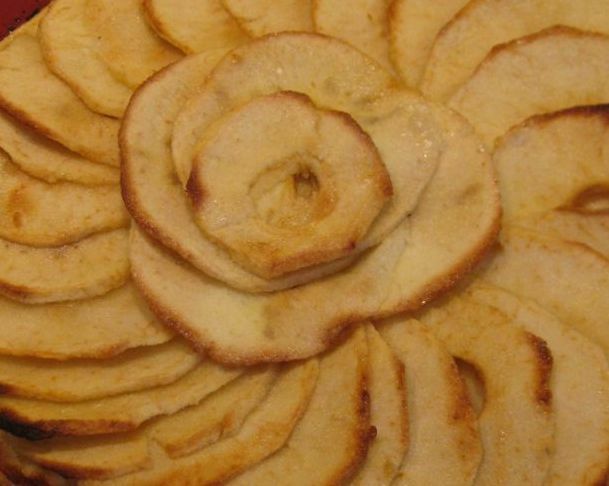 I saw Gordon Ramsay making the Apple tart fine on YouTube. He claimed that this is the easiest tart to make but it is also very delicious. 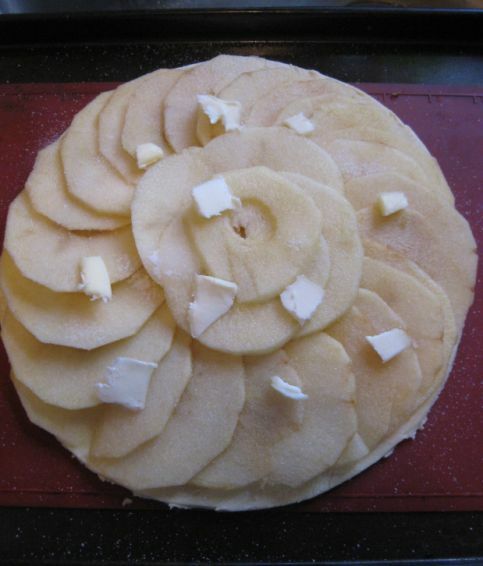 It does indeed looks so easy and so fast to prepare with only 4 ingredients, puff pastry, apple, sugar and butter. Can't be any easier that this so I wanted to give it a try. 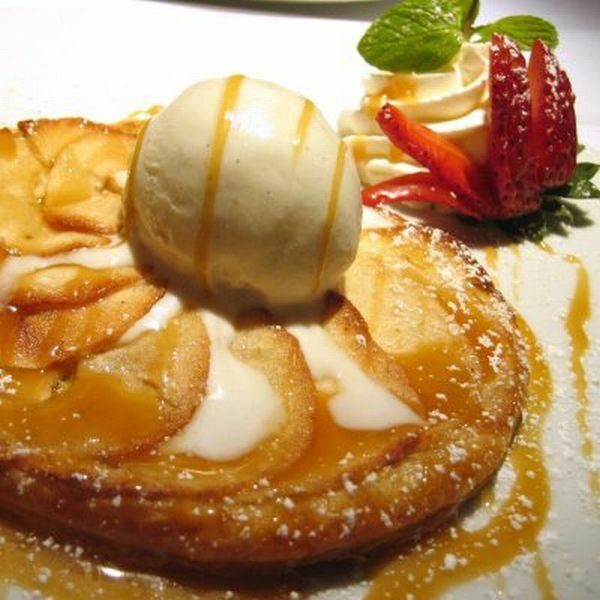 The word fine in French means thin so Apple tart fine means thin apple tart. 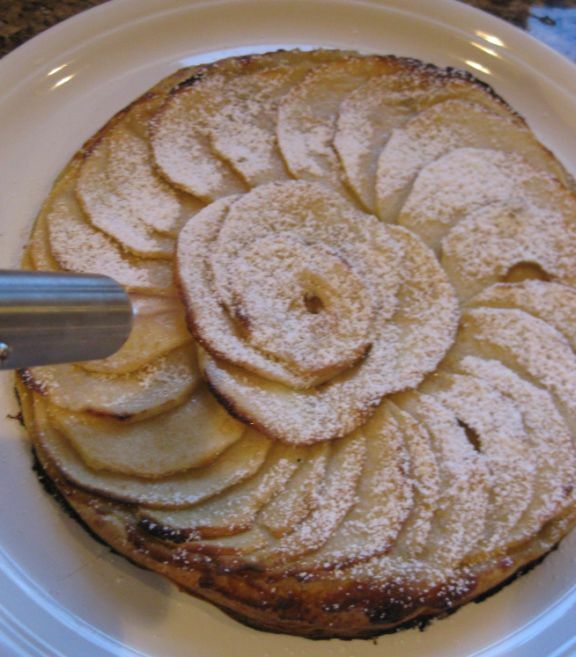 The result is I thought the apple tart fine tasted good but I still preferred the basic French apple tart (tarte aux pommes). 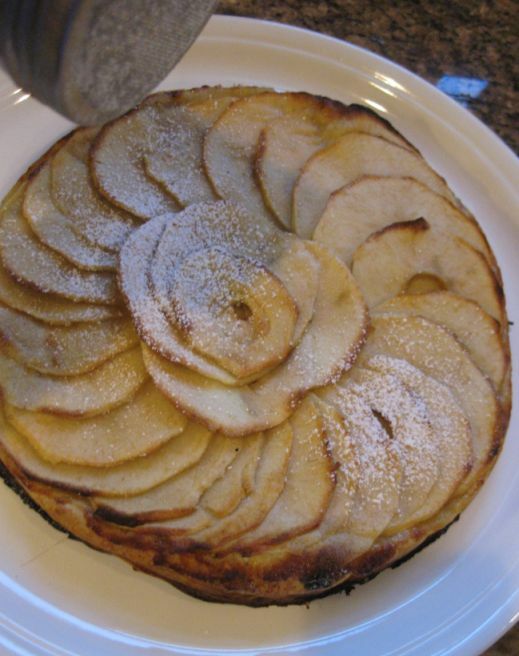 The difference between the two tarts is there is apple sauce filling on the French apple tart and the Apple tart fine is simpler. Here I am adding some powder sugar. Bringing out the blow torch to caramelized the top of the tart. 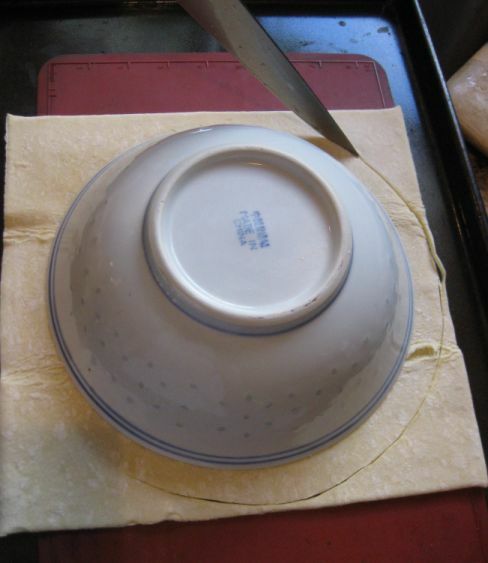 When ready to serve add a scoop of ice cream of top and drizzle with caramel sauce. 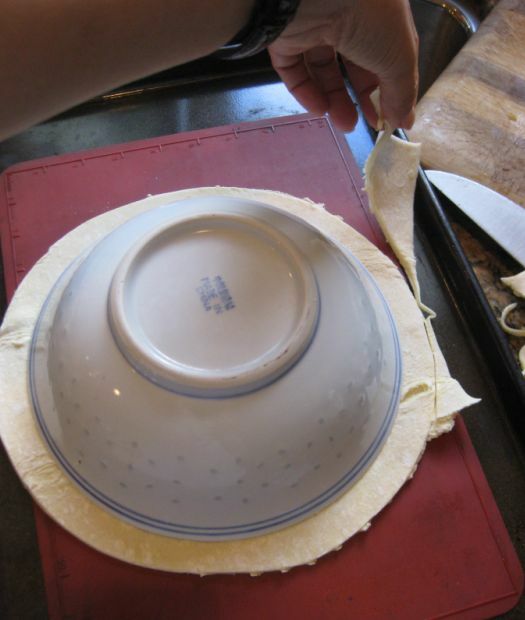 I am putting a bowl over the puff pastry to make a circle pattern. Start cutting out a circle. 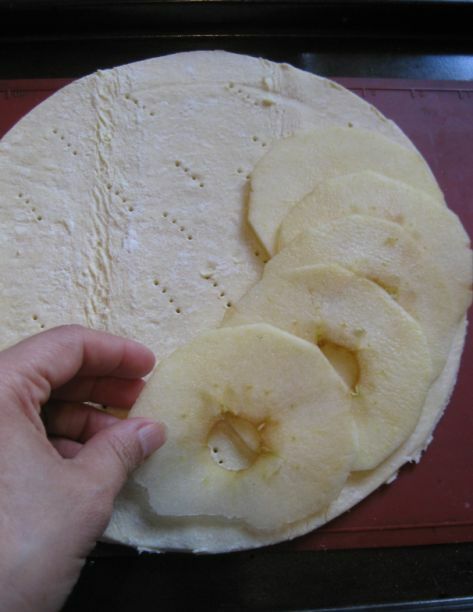 Take a fork and make a few holes so that the pastry does not puff up too much and then lay the apples all around the dough. 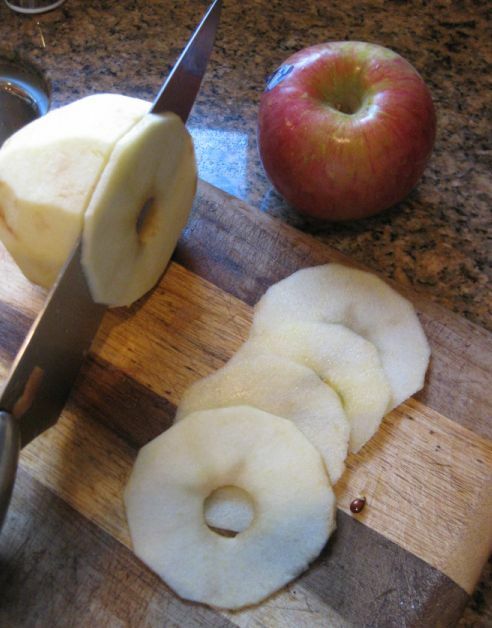 Springle 2 tablespoons of sugar on top of the apples and dot it with butter. 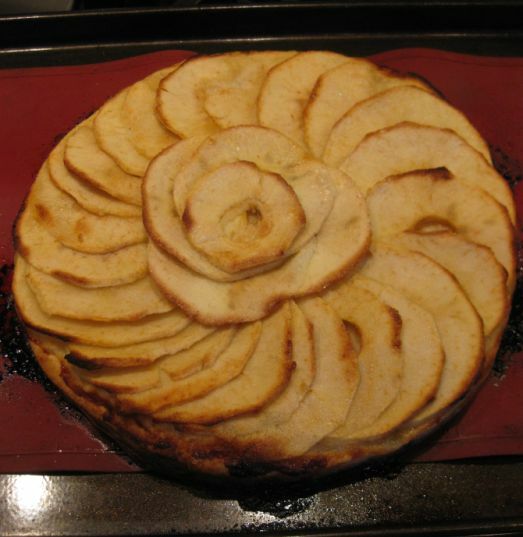 Put the tart in the oven at 375 degrees and bake for 15 to 25 minutes or until the top is golden.